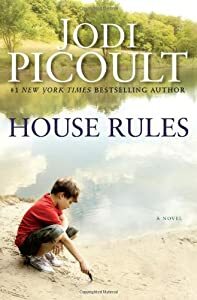 House Rules – A was a quick read, despite the 530 pages! The book was told in five voices – Emma, the single mother of an 18 year old and 15 year old; Jacob, the 18 year old with Asperger Syndrome; Theo, the 15 year old brother who feels invisible and longs for a “perfect” family; Rick, the police investigator; and Oliver, the attorney who knows more about shoeing horses than criminal law. I was able to predict the outcome of the book and became a little irritated by it during the last 100 pages. No spoilers, so that’s all I’ll say about that. I think that the portrayal of Asperger Syndrome was pretty accurate, if not overdrawn, and the stress on relationships and families also realistic. I’d recommend the book to people looking for a quick and interesting book involving a trial and mystery. This entry was posted in General Book Talk and tagged Asperger Syndrome, Autism spectrum, Mental Health. Bookmark the permalink.